I have a soil screener for rent, screens soil ,mulch, sand and compost. The unit is an electric unit and can be powered by a minimum 2000 watt generator or a 110 20amp wall power. the unit is a Desite 108 VFRB Soil Screener, unit shown on youtube, the unit can screen 20 to 50 yards an hour depending on material screened. 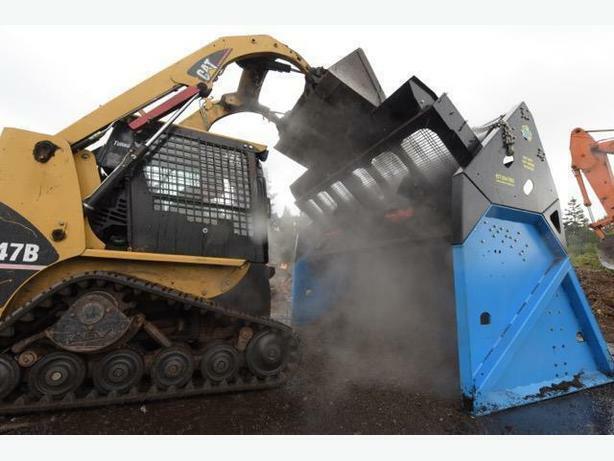 I load the unit with a Cat 247B Skid Steer, and the riser box can be added to allow a 30 inch height raise to allow for more material to be screened before tailings and finished product needs to be moved. The screener and the riser box combo needs to be loaded with a loader or backhoe. The unit weights 3500 pounds and the riser box weights a 1000 and can be lifted or dragged around a site. Renter to provide transportation to their site and back to storage area, or we can move it there for a fee.